In the prestigious Kansas City suburb known as Lee’s Summit, Missouri, you will find an abundance of truly impressive real estate options. 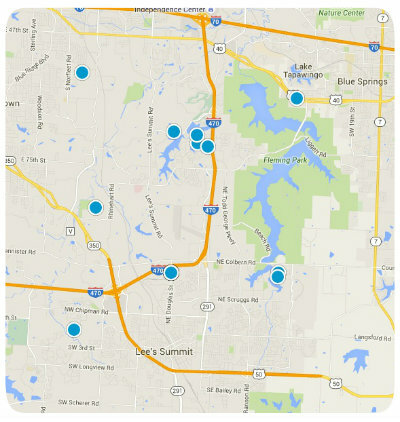 Lee’s Summit continues to be a very popular destination among prospective homebuyers looking to relocate in the Kansas City Metro area, and one look at the city’s amenities and the homes for sale in its many diverse neighborhoods explain Lee’s Summit’s popularity. One of the city’s most charming communities is known as Longview Farm. Longview Farm is comprised of 1,780 acres with new homes and historically restored buildings. This remarkable community is home to a 146 acre Longview Community College campus and a 225 acre residential area. Longview Farm is adjacent to the beautiful 4,800 acre Longview Park and the glistening waters of the 900 acre Longview Lake. Buy a home in Longview Farm and enjoy convenient access to excellent dining and great shopping in the community’s commercial district. The Longview Farm commercial district includes an impressive 250,000 square feet of restaurant, retail and office space, in addition to other businesses. Longview Farms also boasts wonderful shared amenities including basketball and tennis courts, a swimming pool, playground and peaceful walking paths. Longview Farm is a great place for families and is served by Lee’s Summit West High, Summit Lakes Middle and Longview Farm Elementary schools. Longview Farm is divided into five remarkable neighborhoods known as The Estates, The Farms, The Highland, The Manor and The Villas. Homes for sale in Longview Farm vary in price depending upon the property’s age, size, style, location and special features. For more information regarding homes for sale in the remarkable community of Longview Farm, or if you have questions regarding other real estate options in the prestigious city of Lee’s Summit, Missouri, please do not hesitate to contact us today. Listing courtesy of Raelynn King Barnhart of ReeceNichols East. Listing courtesy of Christa Hopper of Kansas City Real Estate, Inc.. Listing courtesy of Karen Poletis of C J Real Estate. Listing courtesy of Sean Roque of One Stop Realty, Inc.